With Easter just gone and considering we are a quarter of the way through 2015, I was talking to a landlord from Bierton the other day about what is happening to the level of rents that are being achieved in the Aylesbury property market. In terms of rents in Aylesbury, it appears that rents being achieved for new rentals (i.e. when the tenant moves out and new tenant moves in) have risen in the order of 3.8% in the last 12 months on top of the range modern properties, yet remained static for older Victorian terraced houses and converted apartments. However, landlords with existing tenants, irrespective of age are not increasing their rents, as most landlords prefer to keep their existing tenant paying the same rent and have the peace of mind that their tenant remains, paying the rent (thus reducing the risk of a void period). It must be remembered rents dropped by 2% over 2008/9, due to oversupply in the rental market. A lot of the people who couldn’t sell their property in Aylesbury in 2008/9 when the Credit Crunch hit in 2008, decided to let their house out instead of selling at a loss. In fact, the number of houses on the market in Aylesbury dropped by 64.7% between February 2008 and March 2010, a lot of which came on to the rental market in Aylesbury. However, looking at the longer term though, tenants have had it good because since the turn of the Millennium, average wages have grown by 46%, but rents outside London have only grown by 36% rental growth over this period. I told the landlord that there is a lack of new rental properties in Aylesbury coming on the market, in fact according to the Office of National Statistics, there are only 40 new rental properties coming to the market each month in Aylesbury but the population of Aylesbury is rising by 69 people a month – something will have to give soon! This is compounded by the fact a number of landlords are looking to sell their rental properties in the coming months, as the property market in Aylesbury has improved. This is further compounded as tenants in existing rental properties appear to be staying in properties for longer periods of time. Looking at the rents charged in Aylesbury, historic evidence in the UK suggests private market rents have moved in line with general inflation. Government figures only go back as far as the year 2000, but looking at other countries with similar housing markets (America, Australia, Ireland and Holland) the fact is rents paid by tenants tend to rise in line or just ahead of inflation. As short term wage growth in Aylesbury has eased off recently, rising by only 1.3% in the last 12 months, taking average salaries in Aylesbury to £26,789pa, with the tax breaks announced by The Chancellor in the Budget, I believe, even though rents have kept pace with inflation in the past, renting as an option has become more affordable and is increasingly seen as a lifestyle choice. With returning economic growth and expected increases in the rate of growth of wages, above inflation rental growth could rise. I had this really interesting chat with some of my tenants the other day on renewal of their tenancy in Aylesbury. They have been tenants of ours for quite a while, so I know them quite well. We got talking and I asked if they had ever thought of buying a property for themselves, to which they replied back with the title of this article. It made me think and so I did some more research into the subject which I want to share with you. After the end of the Second World War, just over a quarter of the UK population owned their own home, the rest rented from private landlords or the local Council. If someone told you in the 1970’s and 1980’s that they rented, they were considered a second class citizen. Everyone wanted to own their own home ... it was the done thing. We think that home ownership will inevitably happen, but it won't. It all changed in the 1970’s, when two things happened. Firstly, the number of people who owned their own home broke through the 50% barrier in 1971 and by 1981 it was at 57%. Tied in with that, the average house prices in Aylesbury were doubling, at one point, every four years in the 1970’s so property and profit started to feed off each other. To put that growth in context, if we were to look at the last 85 years in Aylesbury, in 1930, the average Aylesbury property was worth £657. It took 16 years for Aylesbury property values to double, rising to £1,624 by 1946. Another 15 years and the average Aylesbury property doubled again to £3,083 in 1961. The next doubling only took 10 years, as by 1971 the average Aylesbury property had reached £6,268 in value. It was the 1970’s when things really took off, as by 1975 (i.e. only four years) they had doubled to £13,117 and they doubled again to £26,259 by 1980. It took another eight years for values to double again, as an average Aylesbury property reached £54,924 in 1988. Twelve years had to pass until they doubled again in 2000 (£113,009) and just six years to double again by 2006, when they reached £227,924. Where are we today? The average property value in Aylesbury currently stands at £322,700. We could blame Maggie Thatcher for making home ownership the ultimate goal, but what we now need to consider is that the country is turning on its head and we need to, as a Country, love renting again. Some blame the banks, but obtaining a 95% mortgage is hard work, but nowhere near impossible. A typical Aylesbury first time buyer for example could buy a modest property locally and it would be cheaper each month in mortgage payments than renting. Are Aylesbury landlords worse than Politician’s ? 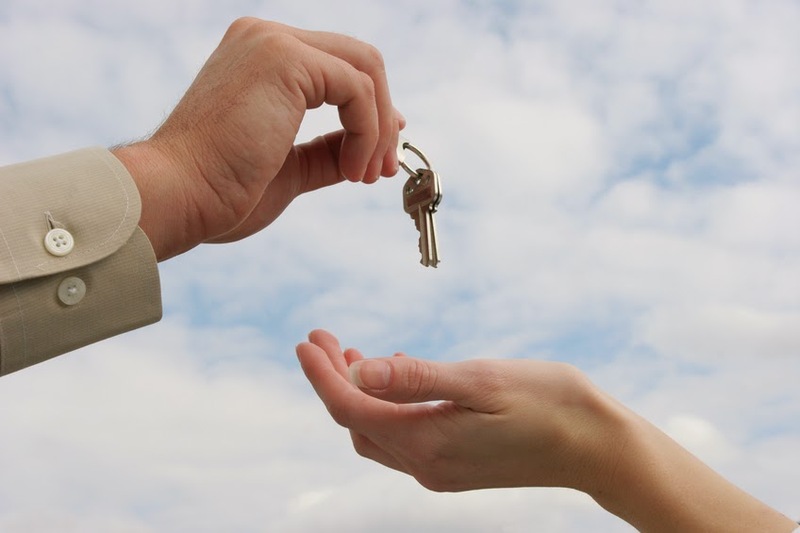 I was having an interesting chat the other day with a couple of solicitors at an Aylesbury business networking event, when the subject of a lack of property for first time buyers came into the conversation. I followed the chat up with an email with my findings, findings that I would like to share with you today. At the time of the last census in 2011, 3,401,675 properties in England were privately rented, of which it is estimated, over 1.25 million were owned by private landlords. The rapid growth of buy-to-let is hugely controversial, especially as only ten years before that, there were only 1,798,864 properties under private renting in England. Buy to let landlords have been held responsible for forcing up property prices and preventing our younger generations from being able to buy. There is also growing resentment towards the billions of pounds in tax relief (estimated to be nearly £10 billion) landlords claim on their mortgage interest -tax relief which is not available to homeowners. They may be asset rich thanks to recently rising property values, but let us not make the landlords the bogymen they could easily be. Despite all these benefits enjoyed by private landlords, let us not forget the good they have done, especially in Aylesbury. Property values today in Aylesbury are still 9.9% above the 2007 property boom levels (2007 being the peak of last property boom before everything dropped in 2008/9), yet inflation has risen by 26% in the same time frame, so in real terms, properties today are 16.1% CHEAPER than they were in 2007. Just think how low they would be without landlords buying all those rental properties in the town. Interest rates are at an all time low and first time buyers only need to save a £9,500 deposit to secure a 2 bed in the Willows Development with a 95% mortgage. Forget what the papers say, first time buyers can borrow money relatively easily on a 95% mortgage and nine times out of ten, it’s cheaper to buy than rent. So why aren’t people buying? The number of people choosing to rent, either for lifestyle or economic reasons, has grown over the last 15 years. I also believe they will continue to grow for some time to come (as does every report on the subject). In fact I would go as far to predict the number of rental properties in Aylesbury will have risen from the 8,096 properties recorded in 2011 to 11,700 by 2021. Sounds fanciful? Well in 2001, there were only 4,125 privately rented properties in Aylesbury. It is a fact that we as a Country are more and more turning into a European model when it comes to homeownership, where the norm is renting for the first ten years, as opposed to the norm from the 1960’s to 1990’s, where first time buyers were encouraged to buy as soon as they got a job.